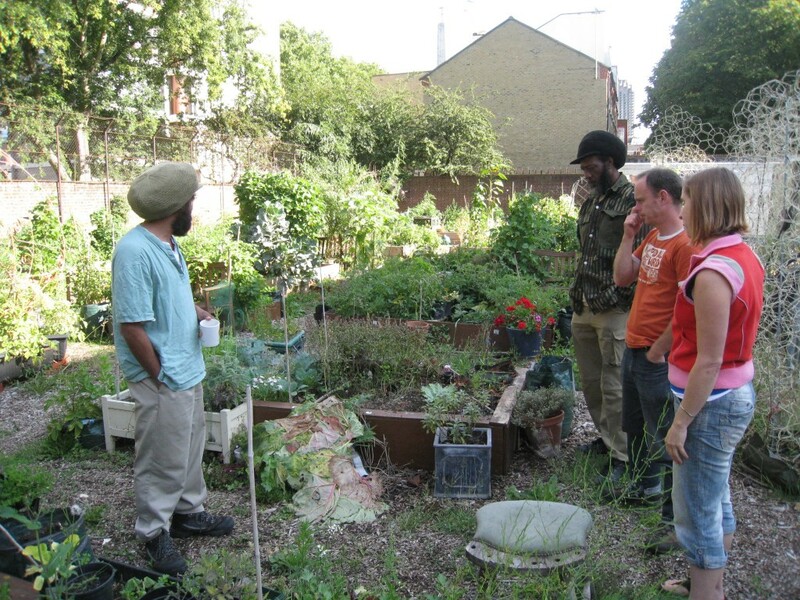 Community Food Growers’ Network meet four times a year each gathering hosted by a different member project. Our network co-ordinators do most of the organising for these. They mostly consisted of a morning spent gardening at one of our member projects, a tour of the site, a communal lunch and then a chunky meeting at the end. Agenda points are sent in by the members and collated and facilitated by co-ordinators. Once a year we have a harvest gathering – with each member taking responsibility for publicizing this to other projects they’d like to see involved. The aim of the summer gathering is to share network with interested projects; opportunity to connect; to eat together; share skills; offers/wants updates space. CFGN members meetings are for London food growers to come together and share skills, offers/wants and common action on wider concerns that impact on our work.